We’re Brewing Good Times with the third limited release from our Small Batch Series – Yuengling Bourbon Barrel Reserve. 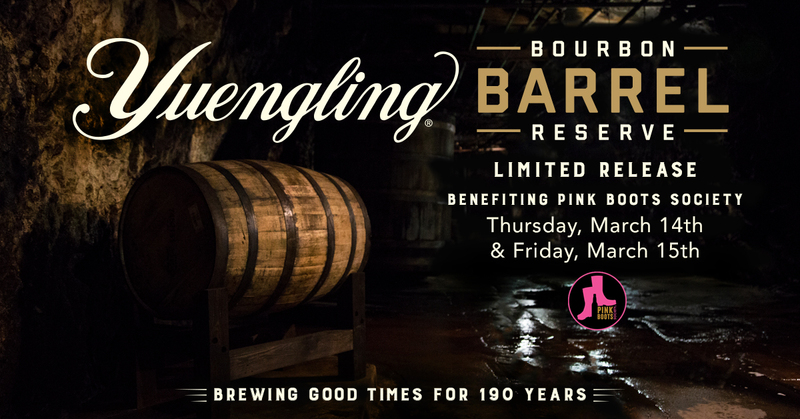 This special edition takes our Black & Tan and barrel ages it in the historic Yuengling caves. This limited release is available ONLY on draft in our Tasting Room, WHILE SUPPLIES LAST! No growler fills. Extended hours until 7:30pm with live entertainment and food for purchase starting at 5pm! • Wear green, get a free gift! • Buy a St. Patty’s Day t-shirt, get a free beverage wrench!